The 11 Best Burgers in Utah! The burger: A quintessential American classic. The star of barbecues and small-town drive-thrus, the burger is simply unbeatable. Fortunately, burger lovers are at home in the Beehive State. 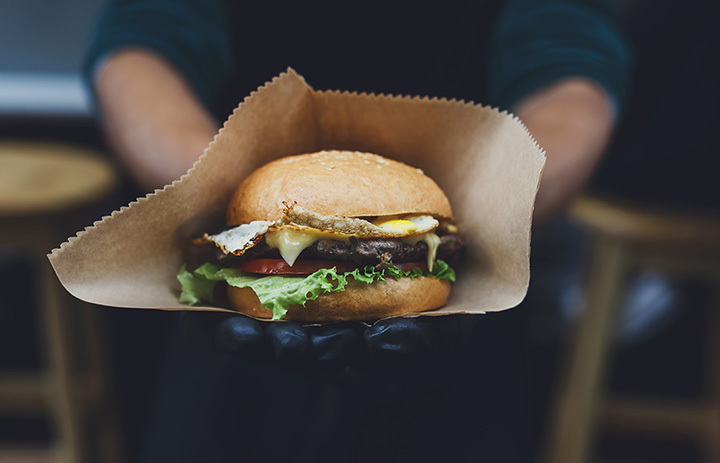 With so many options, we’ve rounded up the 10 best burger joints Utah has to offer. A Utah establishment, Burgers Supreme could be described as upscale fast food. The difference between Burgers Supreme and other fast food joints, however, is that Burgers Supreme uses 100 percent fresh ingredients and delivers on all gastronomical fronts. The only thing that’s similar? You’ll get your order within five minutes. Utahans—and especially those from Salt Lake Valley—swear by Hires Big H. Yes, the burgers are delicious, but the thirst quenchers deliver in the same level. Choosing between a frosted root beer mug float and cherry limeade? That’s the most difficult decision you’ll make all day. Opened this year, CHOM Burger is the brainchild of a successful Utah restaurant veteran who not only understands what people want, but how to keep people coming back for more. Case in point: CHOM’s green chile avocado burger with a side of sweet potato fries. The only thing that could possibly make this reality better? Their delightfully drinkable salted caramel shake. Determined burger-seekers travel hours to buy grub from the Burger Bar in Roy, Utah. An old-fashioned drive-in founded in 1956, the burgers are classic and irresistible in their unabashed simplicity. If you’re looking for a slightly more up-scale burger experience, the Lucky 13 in Salt Lake City is the place for you. With a focus on fresh, local ingredients and compelling burger combinations, Lucky 13 will satisfy any customer. When most people buy a burger, they aren’t really looking to skimp on calories. If that’s the case for you, Rich’s Burgers-N-Grub delivers in the most beautiful way. With all burgers at a flat rate of $8, you may be tempted to eat both the mac & cheese and Maui BBQ burgers in the same sitting. With multiple locations in Utah, JCW’s The Burger Boys has humble roots. With a wide variety of burgers, sandwiches, and colossal shakes you have to eat with a spoon, the restaurant is the perfect laid-back ambience for families and college students. To the delight of Utah burger enthusiasts, the Salt Lake City Burger Company sells gourmet burgers for cheap. With a condiments bar, just the right amount of cheese, and a quarter-pound beef patty, you’ll be chomping into the customized burger of your dreams. No Worries Café & Grill in Park City has so many options, you may feel like its overkill. That is, until you try one of the burgers. To offset the burger, try a side of salad or coleslaw. Located in the smaller town of Tooele, Dairy Delight has been a community favorite for longer than most residents can remember. Although the wait is typically a bit long, patrons insist it’s worth it every time. Heber’s most famous joint for American grub, the Dairy Keen has the classics and then some. With gluten free options, memorable shakes, and huge burgers, Dairy Keen will have you feeling like you got hit by a train, but in the best way imaginable.